Like it or not, tax day is just two weeks away. And whether you have to pay Uncle Sam or are expecting a refund, you’re likely thinking of ways you can hold on to more of your hard-earned cash in the coming year. April 15th has a way of doing that. While you’re examining your budget, don’t forget to look at what you spend on your pets. If you’re like me, you probably don’t think twice about plunking down a good chunk of change for your furry companion. But don’t worry…we’re not alone. In fact, the American Pet Products Association (APPA) recently announced that consumer spending on pets topped $58 billion in 2014, an all-time high! Yes, when it comes to Fido and Fluffy, we Americans will spare no expense to make sure they’re healthy and happy. We show our love and appreciation by providing them with the best we can afford. However, over the years, I’ve learned that it is possible to spoil your pooch and cater to your cat without taking a big bite out of your pocketbook. That’s why I wrote Pampered Pets on a Budget: Caring for Your Pet without Losing Your Tail. In the book, I list numerous ways to save on pet spending while maintaining a high level of quality and care. The APPA notes that “the food category is by far the leading source of dollars spent within the industry.” This isn’t at all surprising. With news reports of food recalls and tainted treats from China, most pet parents these days feel uncomfortable feeding anything less than the best. The good news is, you don’t have to feed low-quality food to save money. One easy way to save is to buy food in bulk. Warehouse stores are great places to get quality food at a bargain price. Or think about purchases larger quantities from your local pet supply store. Even if you feed your pet wet food, you can often get a discount for buying a case or more at a time. On a cost-per-serving basis, I’ve found that this practice can save you anywhere from 10 to 15 percent. If you purchase more food than you can use in a few week’s time, be sure to store it in an air-tight container or bin to keep it fresh. Over-the-counter and prescription pet medications make up one of the biggest areas of spending among pet parents. Obviously, not giving the medication isn’t an option for most of us. So how can you save on this necessary expense? Filling your pet’s prescription at the vet’s office is efficient and convenient and ensures your veterinarian is able to track all medications in your pet’s medical history. However, it may not always be the least expensive. Ask your vet if they offer a generic alternative and/or if they will match the price you might get from a local or online pharmacy. If you decide to go to a regular pharmacy, check to see if there’s a human equivalent since these can be more affordable. Also, many pharmacies offer free or low-cost prescription discount cards for pets. Finally, be sure to do a web search for coupons, and comparison shop online pharmacies for the best price. Among the most rapidly growing pet spending segments is grooming, and with good reason. Keeping your pet bathed, brushed and clipped is important to his health and comfort. However, the costs of weekly or monthly visits to the groomer can quickly add up. To keep spending under control, take on some of the more simple chores yourself. If your pet will tolerate it, do regular bathing, brushing and nail trimming at home. Your groomer can still take care of the more daunting tasks like summer cuts, but these types of things usually require less frequent visits. As pets have become a bigger part of our families over the last two or three decades, we’ve become more concerned about their behavior and socialization. In turn, the demand for qualified trainers increases each year. There’s no question that properly training your dog is important. Not only does it help make him more fun to be around, it strengthens the bond between you. So a good basic obedience class is a must. But after you’ve laid the foundation, consider other alternatives for future learning. There are great books you can buy or find at the library. And YouTube is full of wonderful instructional videos on everything from “play dead” to doggie dancing! Did you know there’s a one in three chance your pet will need unplanned vet care this year for an illness or injury? Pet insurance can help protect you from unexpected veterinary bills you haven’t budgeted for. Plus, when you have pet insurance, your veterinarian has the ability to provide the ideal treatment protocol for your pet because you will be reimbursed for the care. Too often, vets have to work with a pet parent’s limited budget, meaning they might not be able to follow the ideal medical protocol. Check Pet Insurance Review to research cost and coverage of various providers. Also, read Cost of Caring from Petplan. 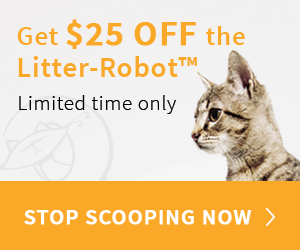 As an affiliate partner of Kristen Levine Pet Living, Petplan provides you with a lifetime 10% discount on a policy with code PETLVG. As you can see, saving doesn’t have to mean skimping. With a little planning and ingenuity, you can spoil your pet and have some extra money in the bank. Now that’s something to wag about! Is this little ‘piggy’ your new best friend? Three of the Best Pet Stories of 2014!